A good first impression on Social Media is very crucial to your business, especially if you are just starting out. Missing that opportunity means you remain behind the competition and struggle to capture a good reputation, one that is not easy to repair if it’s been tainted. So don’t fall into that vicious rabbit hole and do your homework to become very informed on the do’s and dont’s to social media. Create a schedule for the type of content you are going to share and on which platform. I will be sharing easy strategies in this week’s workshop for a content calendar. This will eliminate the guessing the game of what to post and create the opportunity for you to reach your ideal clients with the valuable content. My rule is pick ONE platform and master the heck out of it. Then when you are comfortable enough, learn another one. And keep going from there. 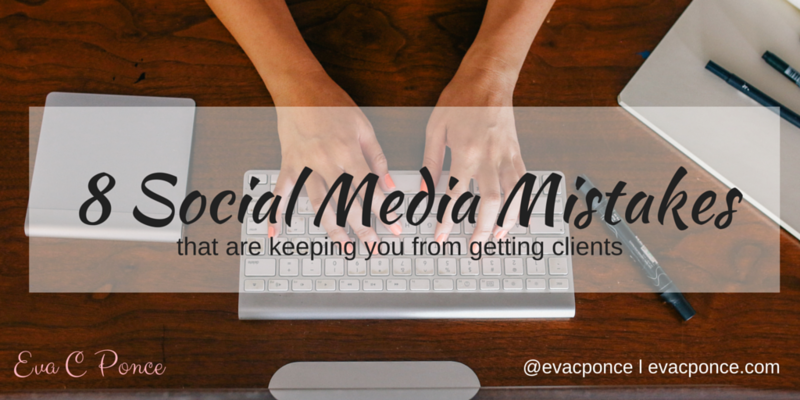 Social media has many platforms, doesn’t mean you have to be on all of them. Choose the one that is the most pleasing and easy to start with depending on the type of content you are sharing. DO NOT purchase fake followers. Not only is it not cool but you’re giving the false impression that those are AUTHENTIC followers of which they are NOT. You want your followers to genuinely connect, engage and follow YOU based the amazing content you are sharing NOT the size of your following. It’s all about the quality not the quantity when it comes to your followers. You want to post content relative to your audience on your brand and also share motivational quotes, relative articles, etc. Let them know you are willing to answer questions, reach out & engage. Sharing various types of content allows them to participate, share ideas and connect with others on your post. Do your research and use hashtags that are relevant to your business. Google the best hashtags for your industry, Remember you don’t need a million hashtags but a few strong ones will maximize your reach and grow your following authentically. Too much sharing rapid fire posts is a sure way to turn off your followers. Create a posting schedule, and consider using scheduling tools like Hootesuite, Post Planner, which I will be discussing in depth in my upcoming workshop, to post timely and keep you from spamming your followers. Always make sure to proofread and double check your post before you upload. Sloppy grammar and misspelled words can hurt your online presence. Be mindful to return back to your post and engage on those comments. Don’t post & run. You want develop the feeling that they dealing with a human not a machine. You want to build the know & like factor with your brand and YOU as well. I hope this served you well and helps you figure how to navigate the social platforms with more ease. If you like what I’m dishing and are interested in even more strategies, please join me over in my Facebook Community and tell a friend. Sharing is caring! In this group I share motivation, tools & systems for automation in order for you to put your business on auto pilot and create time freedom in your every day! Plus a little dose of self care tips as well.